Construction : All of our newel posts, no matter which design or length, are made from solid timber. No veneers or cladding is used in the construction of our newel posts. Should you be looking for Newel Posts you have certainly come to the right place. 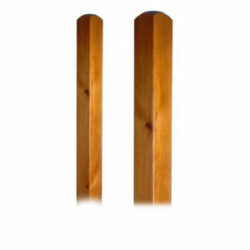 UK Stair Parts offer a quality range of posts, available in various sizes and styles. The first thing for you to do is decipher what size you require, as well as the style of post you need. We can help you with this if you are struggling to figure out exactly what you need. By contacting us today, we can talk to you further about your options for stair newel posts and the various other stair parts we have available for you to buy online. Choosing your perfect newel post is essential to finishing off your staircase. Your Newel post should tie in with the rest of your staircase and the styling of the downstairs of your home. This is why we offer a variety of styles including the Chamfered, Full Ovolo, Georgian, Square, Provincial, Roman and Windsor. 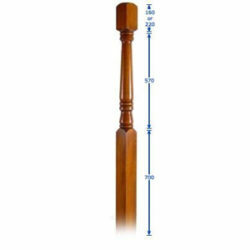 Newel posts are available as a Newel Posts, Pin Newel, or Base Posts. All posts are available in 90mm² or 115mm² square and most posts have a 160mm² or 220mm² top (where the handrail fixes). Full Newel means including the bottom square it comes from 1 piece of timber. Pin Newel is used when there is already a base post in the staircase. This saves a lot of work and is equally as strong once fixed. All our newel posts are available in halves for wall fixings. UK Stair Parts also have a range of fixing kits and accessories available for staircases, stair rails, stair spindles and banisters. 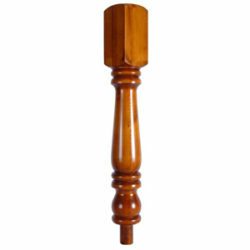 Have fun browsing our range of Newel Posts below.